The puppies and kitties were born! - Things of My Very Own, Inc.
As many are prepare for the Thanksgiving Holiday ahead, the team members at Things of My Very Own, Inc. have been preparing for another event: a birth. On Friday November 14th Things of My Very Own, Inc. launched its Holiday Adoption Program which allows at-risk children to adopt stuffed animals that they will then care for. Volunteers were seen wearing light blue or black scrubs and stethoscopes as they walked around carrying stuffed animals being fed with baby bottles. The organization serves who have been impacted by extensive abuse or neglect as well as those at-risk of a Child protective Services intervention. With this in mind, the organization decided that this year it would provide items to children that will encourage children to self-soothe by caring for another in their time of crisis. “Rather than just giving toys to underprivileged children, we decided to give them an experience. Children come in, fill out an application and learn a bit about the personality of each stuffed animal. There is even a birth certificate.” said Client Relations Specialist Candra Kimball. 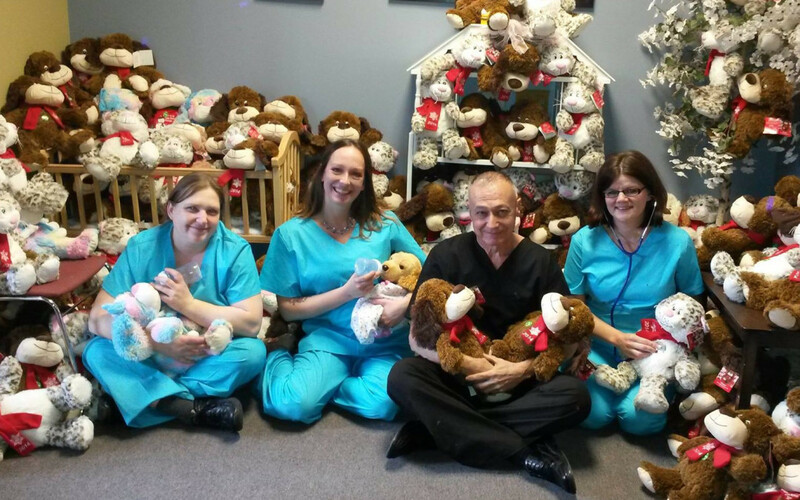 The Holiday Adoption Program is made possible through a partnership between Things of My Very Own, Inc. and PetSmart in Schenectady and will provide thousands of stuffed animals to children in need this holiday season. Customers may purchase stuffed animals at Pet Smart located at 406 Balltown Road in Schenectady for $5-$8.99. All stuffed animals will go directly to Things of My Very Own’s Crisis Intervention Center. The holiday adoption program is open to low-income children and will run from November 14th-December 31st and is open to children who reside in the NYS Capital Region. Children interested in adopting may come to the Crisis Intervention Center located at 249 Green Street in Schenectady any Monday, Wednesday and Friday between 9am-Noon. The Crisis Center will be open the day after Thanksgiving (11/28) to allow more children to participate.